This world is filled with stuff's that we see around . Space in which all these things / stuff's exists . If we take all the stuff's away , for example : - People , car etc ... and also even largest objects like planets to the smallest of subatomic particles . Then empty space is left , this is not nothing but it is something . Empty space left behind when the matter ( Earth ) is removed . But space can be bent , twisted and even rippled . Empty space forms world around us . Space is actually everywhere from atoms to galaxies . 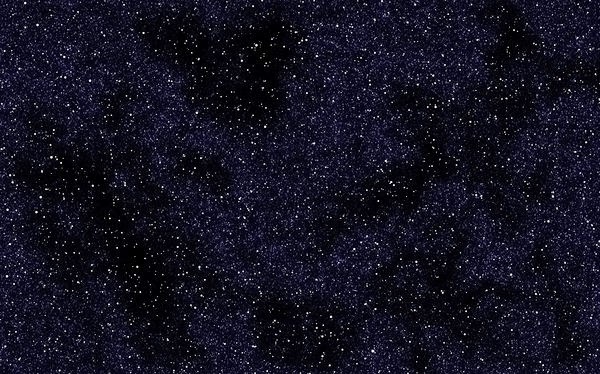 Empty space in the vastness of the COSMOS ( UNIVERSE ) . Space in between the stars and galaxies . Empty space shown in an hydrogen atom ( Microscopic scale ) . Empty space in an atom . ( Microscopic scale ) . 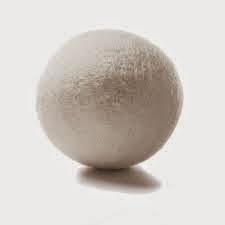 If we remove all the space from the large object it will become very small . A large building with all the matter and space . 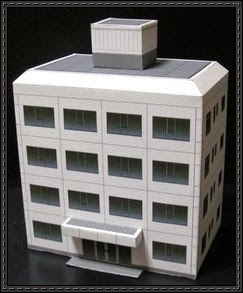 When space is removed from the mass ( large building ) , then this tiny mass is left behind . Spinning in empty space . If in spinning when arms are stretched it is spinning with respect to space itself . Spinning in air while arms is stretched , spinning with respect to the emptiness of space itself . We still use Newton's law based on space mission and etc . Space is real even if we can't feel it . In 1800's Albert Einstein changed everything about space . Consider a moving car . Car moving at the normal speed . 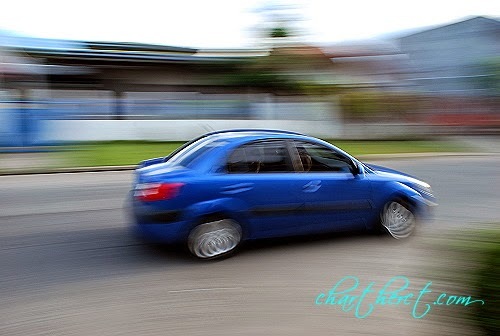 Car moving at the speed of light . Light speed is always constant for everyone . Moving at the speed of light makes the car become tiny ( compressed ) and moves slower in time for the observer outside the car , but for person sitting inside it appears to be normal .
" Space-time forms a fabric . " Space - time fabric . Space - time are flexible . 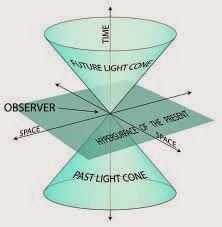 Then Einstein called it space - time . Einstein applied this to gravity . Then how did gravity worked ? After 10 years of work Einstein explained the gravity , Gravity is even more flexible . Space - time fabric . Here object are bound to the central object due to the curvature of the space . 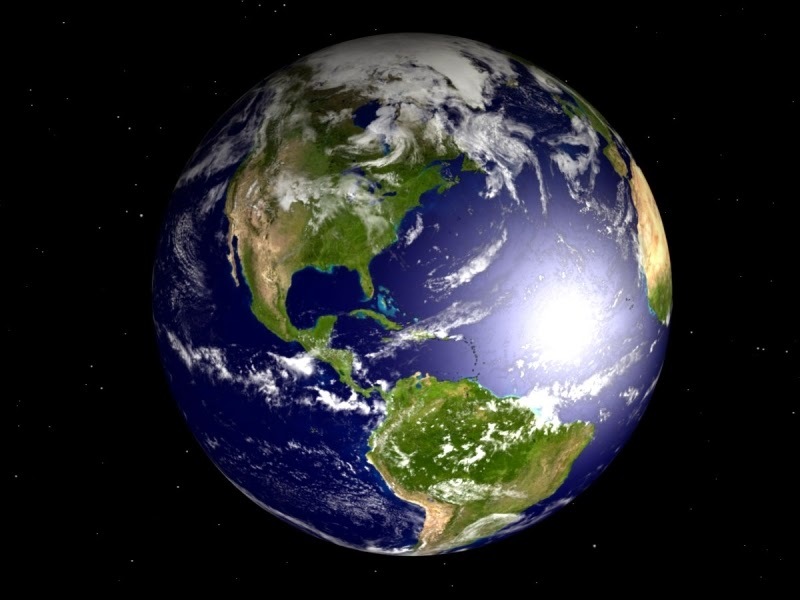 Earth is revolving around the Sun due to the curvature of the space - time fabric . 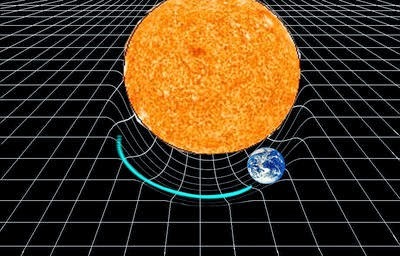 Earth revolves around space-time fabric which Sun creates.
" These described entire Universe , space plays a leading role and space is fabric and flexible "
Black holes have large mass and a strong gravity . 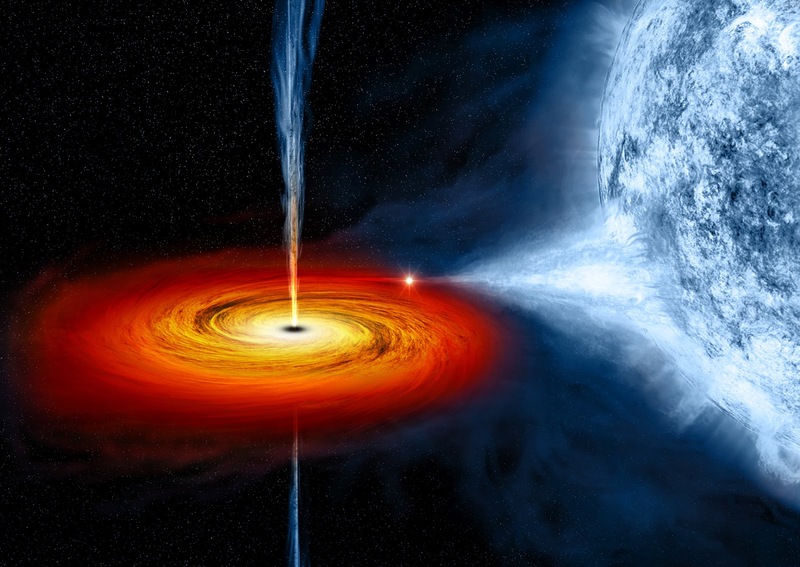 A black hole named Cygnus X-1 . It is formed when a large star caved in . 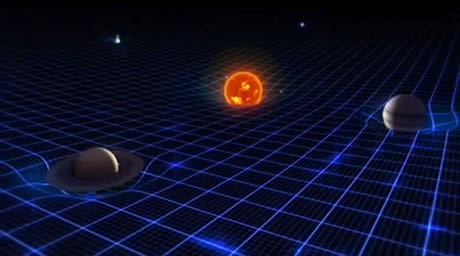 This black hole pulls matter from blue star beside it . Gravity Probe B ( GP - B) is a satellite-based mission which launched on 20 April 2004 on a Delta 2 rocket. 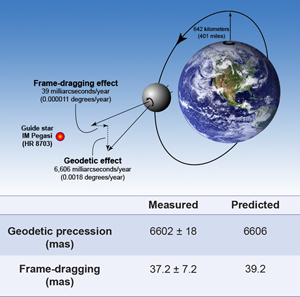 The spaceflight phase lasted until 2005 , its aim was to measure space-time curvature near Earth , and thereby the stress-energy tensor (which is related to the distribution and the motion of matter in space ) in and near Earth . This provided a test of general relativity , gravito magnetism and related models . Total cost of project : $ 750 million . Gravity probe B comprised four London moment gyroscope and a reference telescope sighted on HR8703 . Space is real like a fabric . No space then there will be no twist . 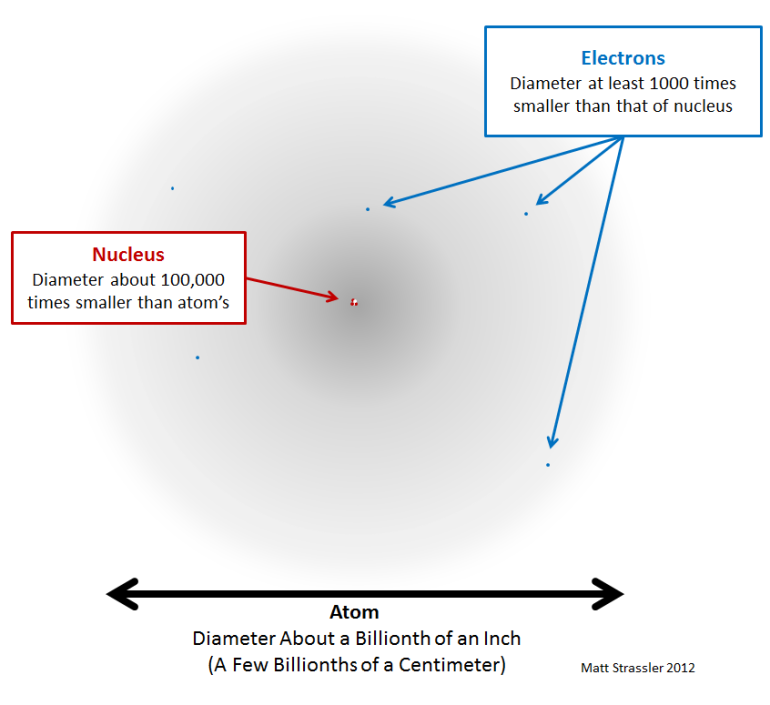 Smallest objects like sub-atomic particles . Even if we remove all space its still far from empty . Particles erupt (or) appears from nothing . Particles emitted from nowhere . In 1948 a scientist named Henry Casmir predicted , if two plates placed extremely closed to each other then the thickness of a paper . II : Very thin spacing in between the plates A and B . Space I and III pushes the plates until they merge . Actually particles are present in the space I and III which pushes the plates in the Quantum world . When these plates placed parallel to each other in Quantum world , with the emptiness between the plates . Then the particles outside the plates push the plates until they merge . 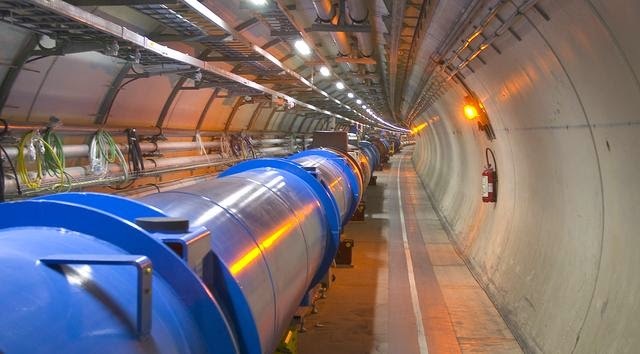 LHC : Large hadron collider is a $ 10 billion dollars project . 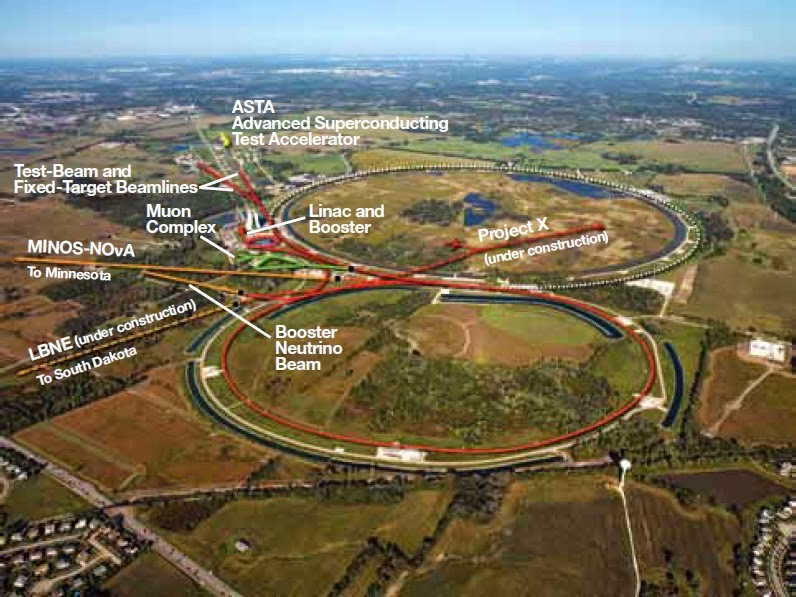 It is a particle accelerator , where particles move at 99.99 % of speed of light . Particles colliding at 99 % of speed of light . In 1964 Peter higgs said . All particles have different masses and why so ?
" 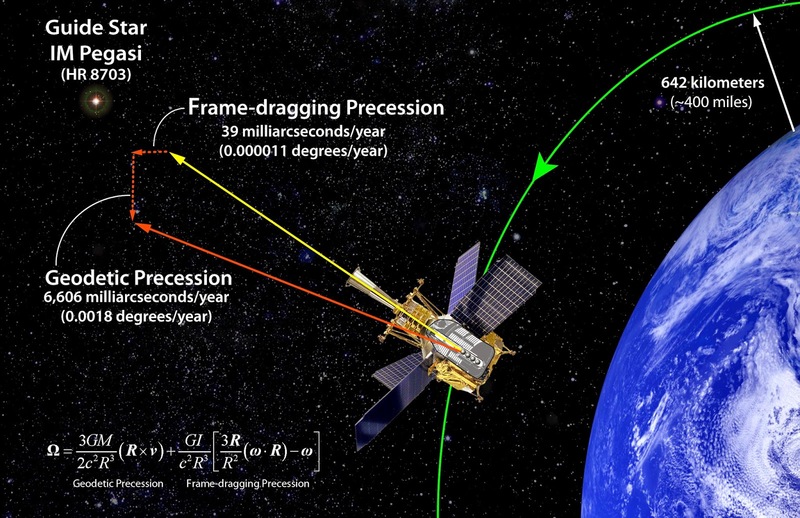 Space is like ocean , particles gain mass when they interact with this ocean . " Particles which moves with great difficulty in the space gains more mass and hence gravity compared to the ones which moves easily . Higgs-field is everywhere even in emptiness of space , but there is no physical proof for Higgs field . Higgs particle and Higgs field . Universe expanded in a fraction of seconds . Gravity eventually stopped the speed of expansion . Will space expand forever ? Will gravity slows and big crunch will happen ? 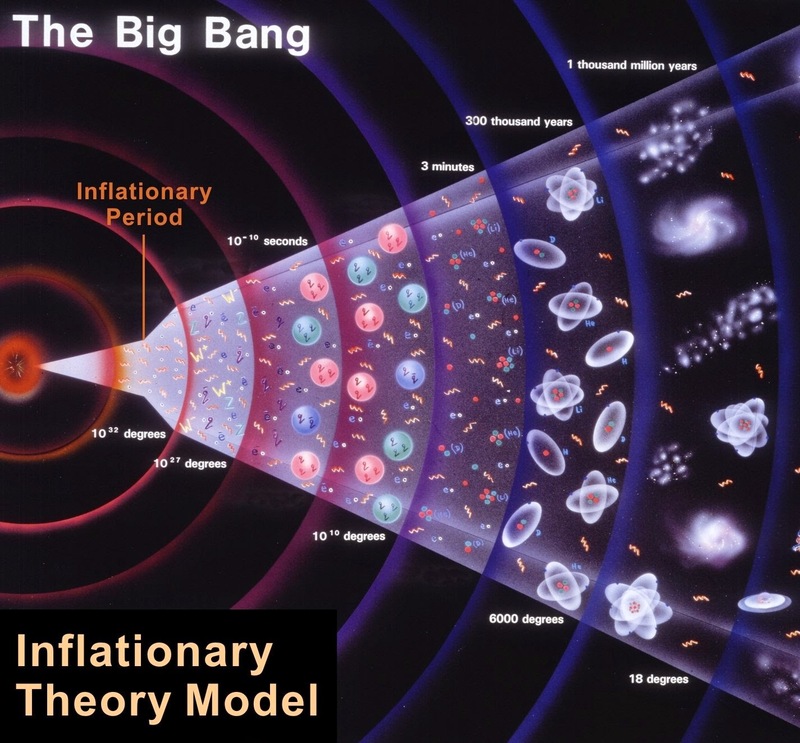 BIG - BANG model of the UNIVERSE . 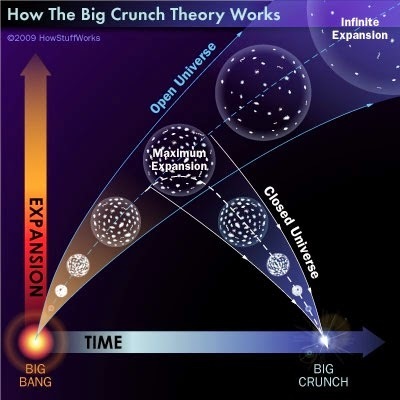 BIG - CRUNCH model of the UNIVERSE . Super-Nova is a very rare event which occurs with an explosion which is very bright . 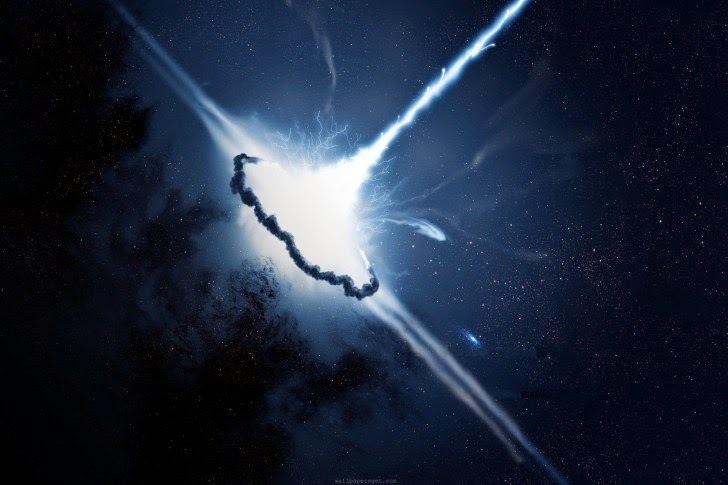 Super - Nova explosion . It was confirmed by Telescope that Universe was expanding . 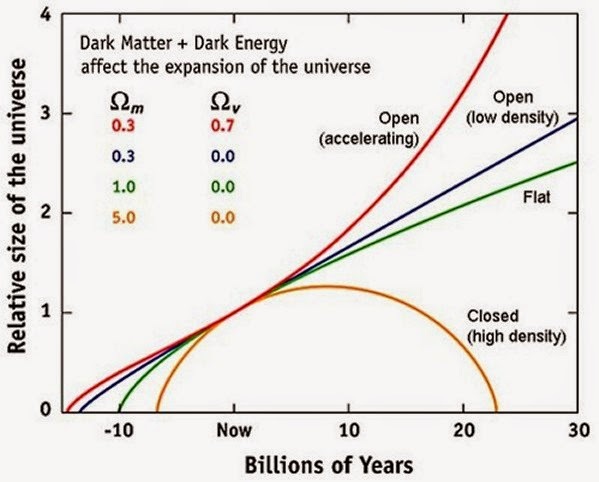 Dark energy pushes ( 70 % of Universe is Dark - Energy ) . 70 % is empty space in Universe . Dark Energy pushing the Space apart . 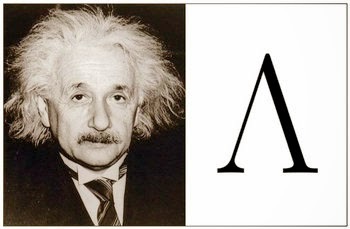 Einstein gave a cosmological constant to solve the big-bang and big-crunch problem in order to get the static Universe ( Antigravity ) . Later Einstein said it was a mistake , his greatest blunder . Cosmological constant Lambda as shown in the equation .
" Hubble proved that Universe was expanding , thus Einstein's cosmological constant was removed and it was called his greatest blunder . " 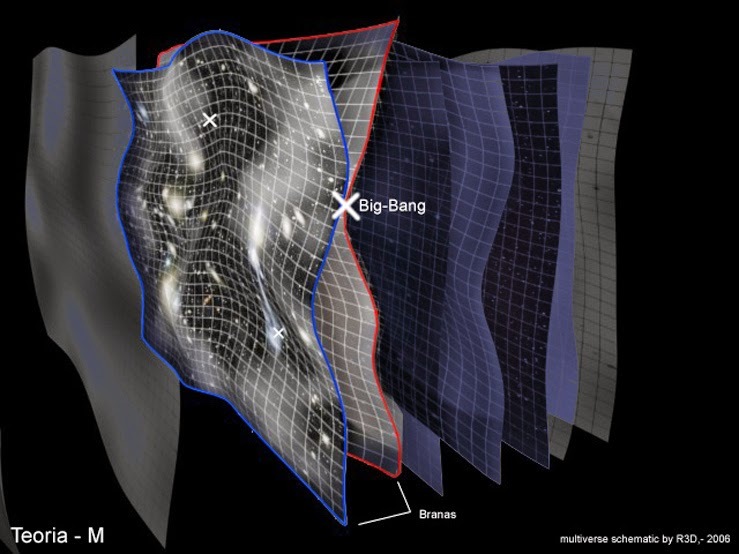 Cosmological constant may explain expansion of Universe . 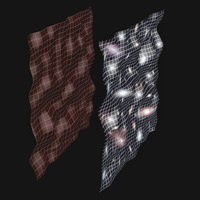 Dark energy pushes further apart until Universe is alone and empty - space is left behind . Even atoms rip apart because of increase in dark energy in space . Graphical representation of the expansion of the UNIVERSE . Space can be a hologram . 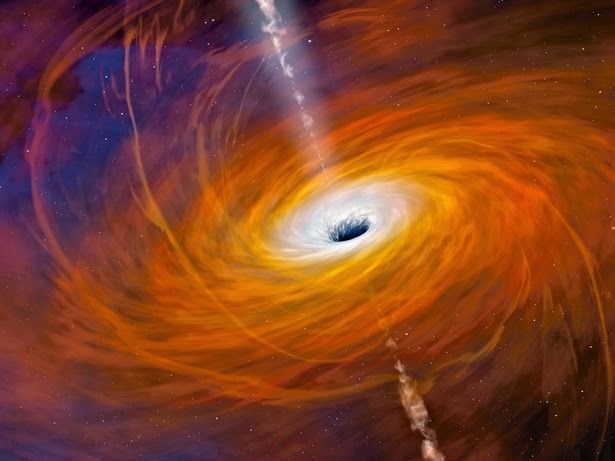 If object falls into the black hole it forms a 3D information inside it , where it is completely lost . Even if the information of object is held in the 2D at the surface of black holes . 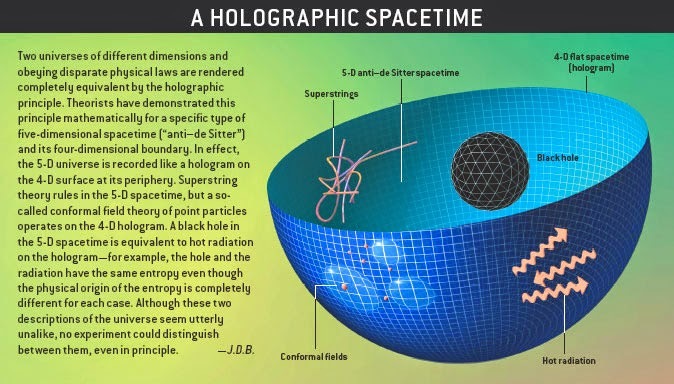 Universe can be a Hologram . 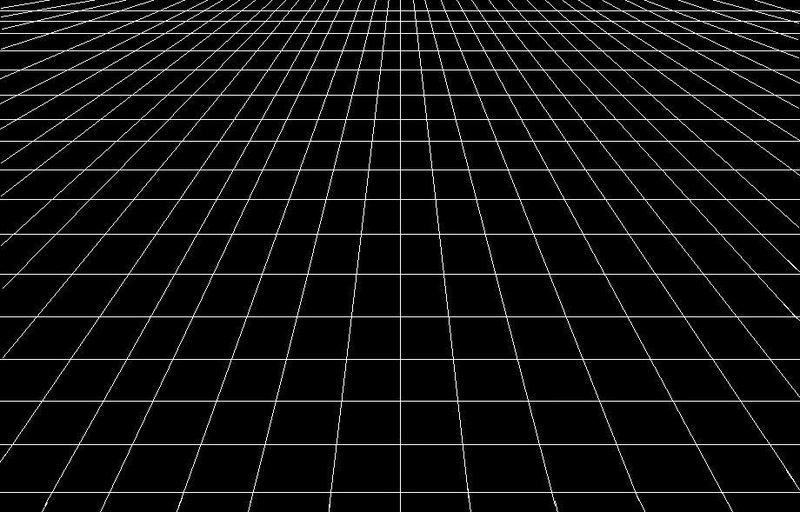 3D information may be present inside the Universe and 2D information is present outside the Universe . "3D is an illusion or 2D is the ultimate reality ??? "  " Space is a familiar stranger . space is all around us but we are still far from having unmasked its true reality . " Part - 3 of 3 ( Welcome to the 11 th Dimension ) . How to control space and time ? All the things are made up of tiny strings . 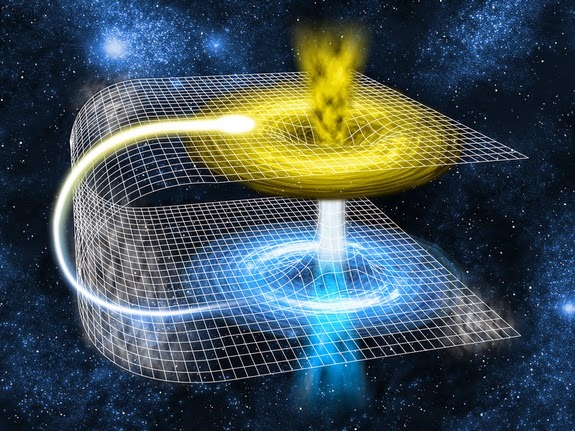 When we bend space-time we can create wormholes . Wormhole formed by tearing the fabric of space-time and connecting it .
" According to String theory Einstein was not always right . " Rips in space - time fabric .
" 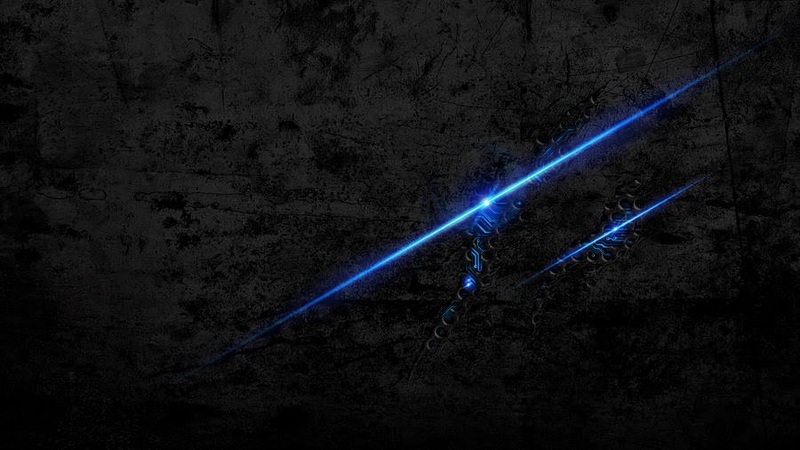 Strings can protect the rips in the space-time fabric ." What are the hidden dimensions ? 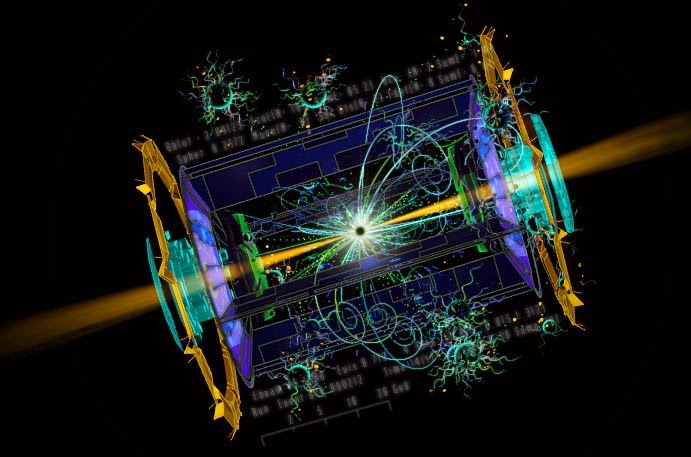 There are tiny strings vibrating inside Quarks . Different types of vibrations of strings gives different types of matter. Its necessary to master vibrations of strings .
" *** There were 5 types of strings theory ? " Edward witten :- A conference held in 1995 . He gave new prospective of string theory . Edward said its just " 5 different ways of looking the same theory " . Here comes the new " M-Theory " . Normally there are 10 dimensions . 3 spacial dimensions (X , Y, Z ) . 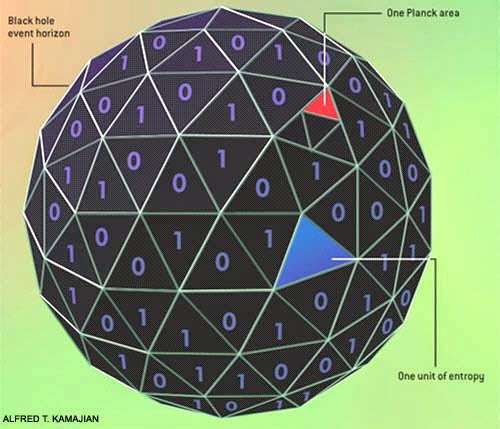 6 dimension Calabi Yau space structure ( Microscopic ) . But according to M- Theory there are 11 - Dimensions . When there are more dimensions there are more degrees of freedom . When strings are stretched they form membrane (or) brane . This was a 3-dimensional approach . 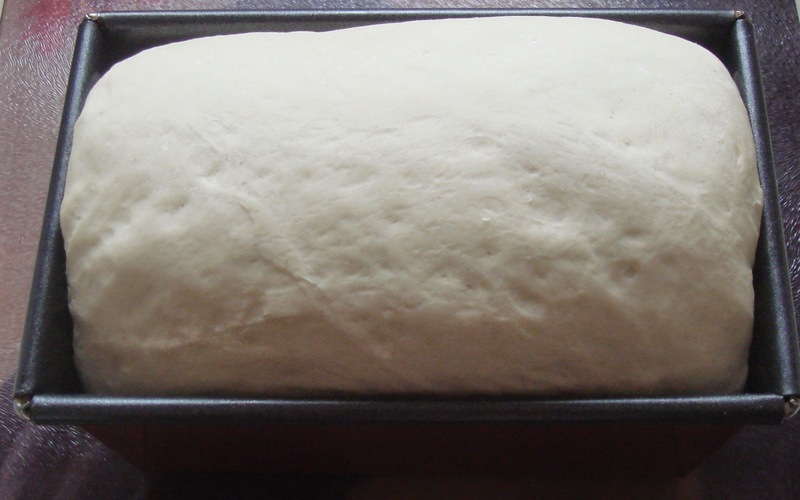 Consider a dough of bread . 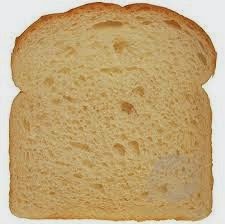 Here one slice may form one UNIVERSE . Consider this as a UNIVERSE . 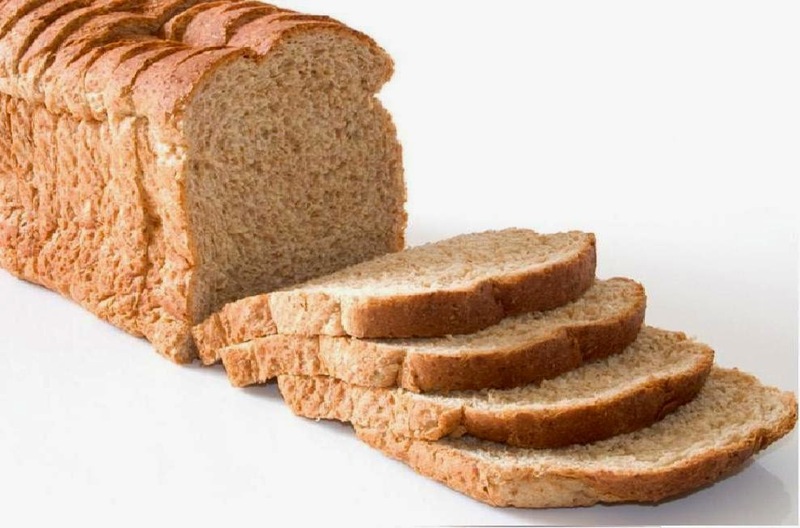 Consider these Parallel slices of bread as parallel UNIVERSES . ( Extra dimensions ) . 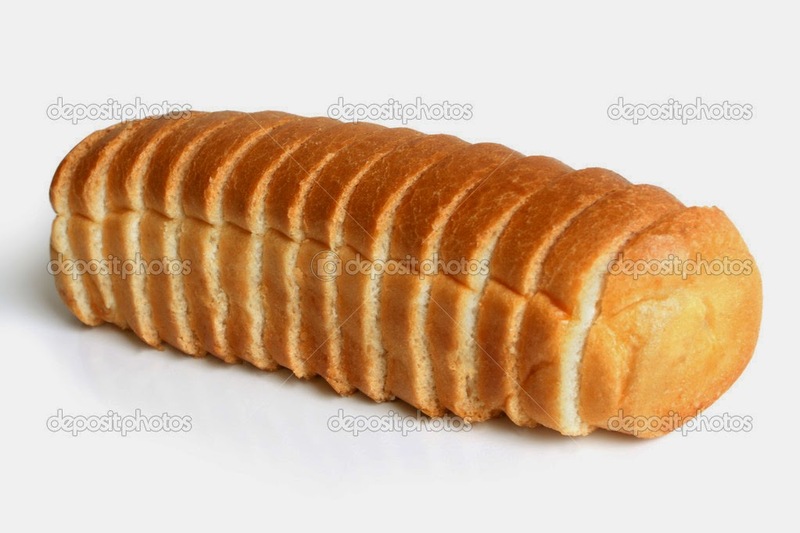 Parallel slices of bread . Considering these slices of bread these forms extra dimensions . Newtons gravity " Apple " -> An important force of Nature . ( G ) . 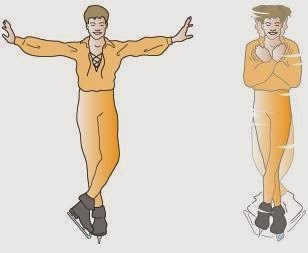 Magnets has E.M ( Electro magnetic ) force . E.M is greater then Gravity by 1 followed by 39 zeros . Why can't we feel strength of Gravity ? While playing snooker the sound waves are produced that are like gravity waves . Why Gravity was so different ? Strings are tied to 3 - Dimensional membrane . Open and closed strings . Graviton appears in other dimensions and hence is weak in the present dimension . Hence Gravity is very weak in present dimensions . At the instant of Big - bang all physical laws breakdown . 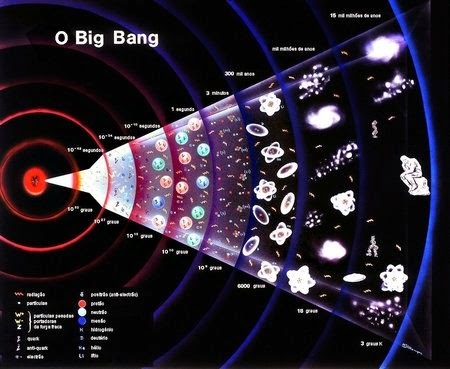 Physical laws breakdown at the instant of big bang . It is sometimes suggested that Big-band did not happen at all by String - theory . Membrane Universes ( Parallel ) . When these membrane collide then BIG-BANG occurs , because energy of collision should go somewhere . They collide many times and hence many times Big - bang occurred . Can string theory solve Big - bang ? Detecting the evidence of Strings . In FERMI-LAB , Atom smashers . 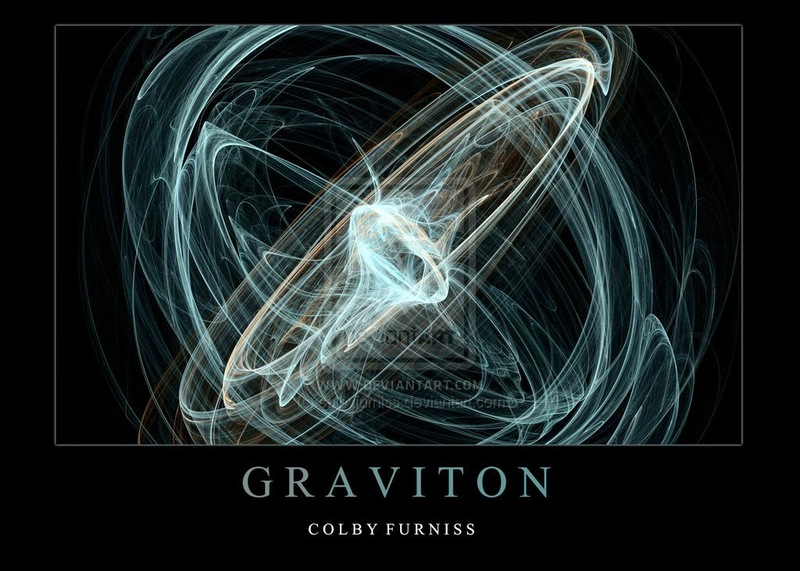 Atoms collide to give Graviton . FERMI - LAB :- Located in the border of France and Switzerland . CERN :- Atom smasher . It is 7 times stronger than FERMI - LAB . *** Super - symmetry . Each pair of super partners shares the same mass and internal quantum numbers besides spin . Since no super partners have been observed yet, super symmetry must be a spontaneously broken symmetry if it exists . 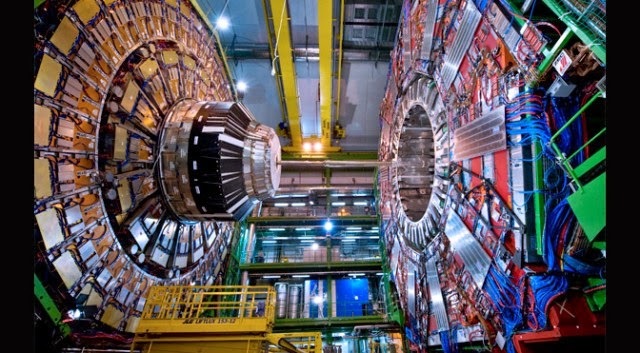 If super symmetry is a true symmetry of nature, it would explain many mysterious features of particle physics and would help solve paradoxes such as the cosmological constant problem . Still we need 10 - 20 years for clear understanding of atom - smashers . 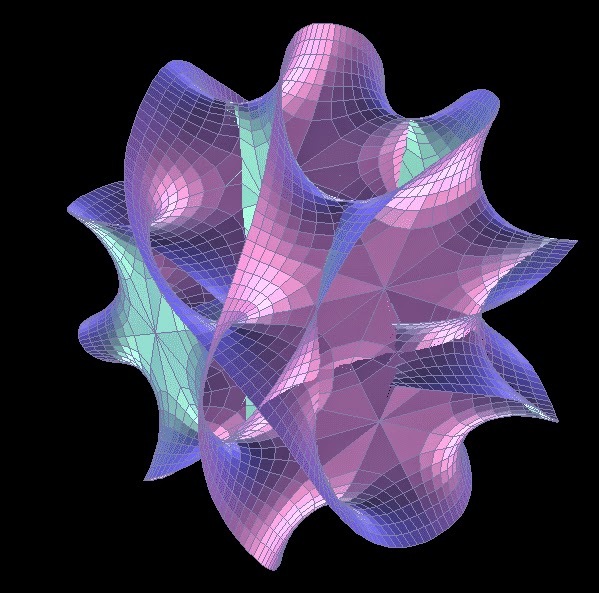 Is still string - theory right (or) wrong ? Still how many years to wait ? Everytime we looked closer to UNIVERSE we discovered new truth .